What are the most important things I can do for a long-lasting bouquet? 1. Order your flowers from a reputable florist, who understands how to process them correctly so that you start with the freshest stems possible. 2. Change the water daily. Clean, fresh, room-temperature H20 is the flower's best friend. 3. Cut the stems off one half inch each day to allow new water to move up the stem. 4. Flowers arranged in foam need to have water added daily, since the foam will continue to use available water and send it up the stems. 5. Keep your fresh flowers out of cold drafts and direct sunlight. 6. 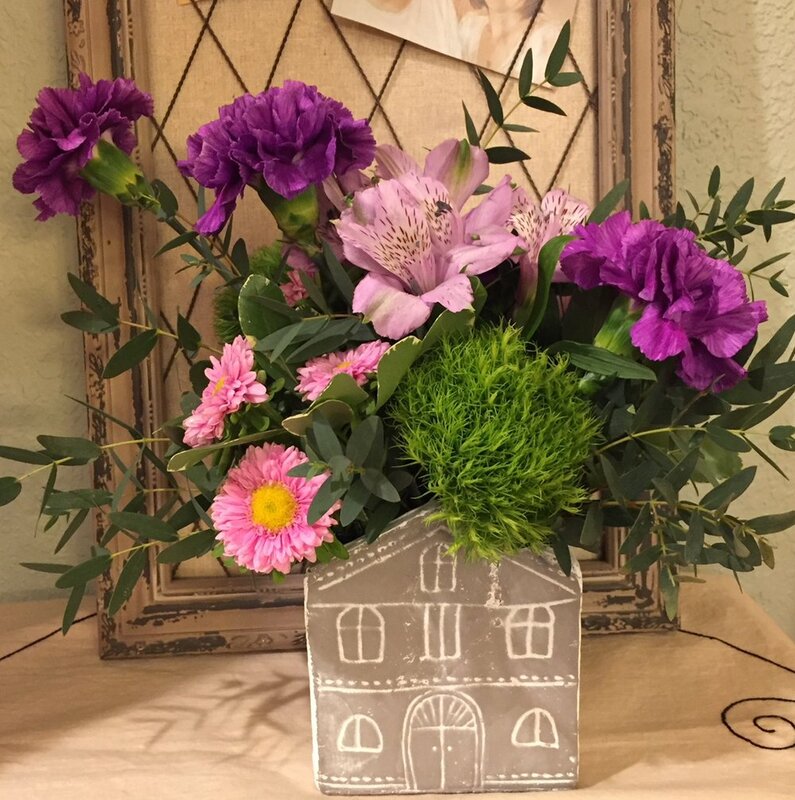 Place your arrangement in an area where it can be appreciated for all it's glory! Part of a florist's job is to help educate their clients about their purchase. Don't hesitate to call them and ask if you have any concerns with your flowers once you get them home! A bit of fragrance clings to the hand that gives flowers. When you need to brighten someone's day or to "flower" a special moment in life, let 'Lavender Blue' be your guide!